Today’s project isn’t really anything I can give instructions for. I was trying out my new periscope/facebook live set up and done a few things to my SU planner. I am getting into this planer hing really well and I hope you are enjoying my little videos. 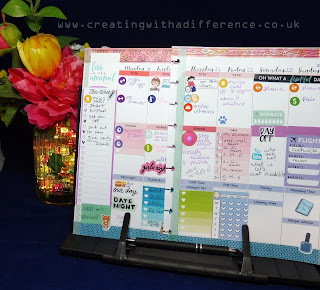 The planner ones won’t be the same as my tutorials as they are more laid back, chatty and blog style I supose. I really love the SU planner and I am moving next year one of my happy planners into my SU one. Not only is it pretty but ... all the colours and patterns match our colours and other products, the bits included are functional and great value, plus there is a refill kit! They have covered all basis. As you can see in my video I have used some retired products, current and other crafty bits so they are versatile for all of your crafts bit you are likely to already own. 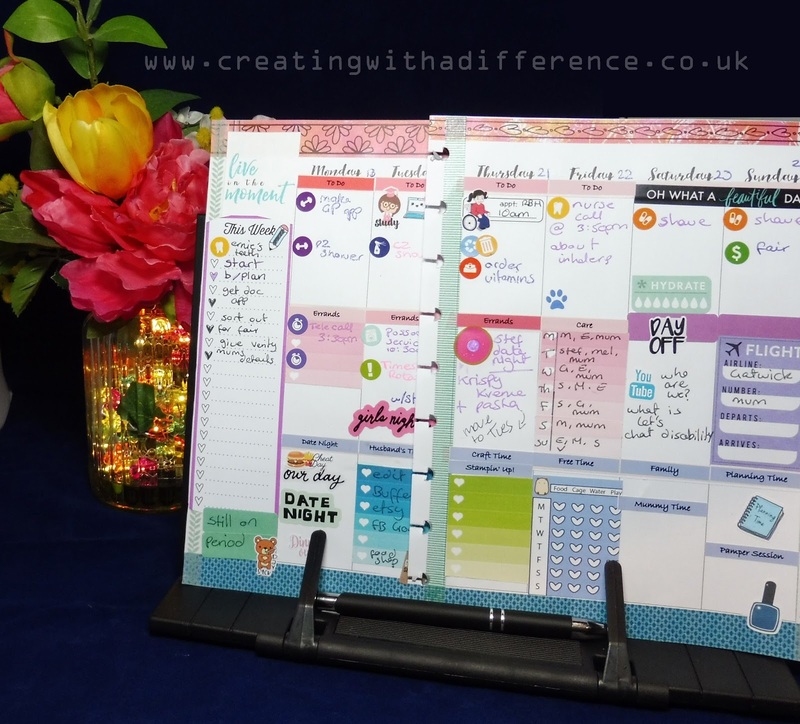 Hope you like it and click on my shop to check out the planner! Labels: crafting, creating with a difference, disabled artist, diy, handmade, how to, papercrafting, planner, Stampin' Up!